Rylee and Colton's ride continues..
Be still my beating heart. This series is one, if not, the best series I have ever read. Colton just takes your breath away, he and Rylee are so beautiful together. This series makes you laugh and cry,and I've read this 3/4 times, hard to let go, you would be hard pressed to find another series to match it. Your hooked when you read the first book in the series a must have. Oh wow .... so much love, pain and unknown ..... I cried, laughed and couldn't wait to finish it to see how it end .... must read loved it !!! 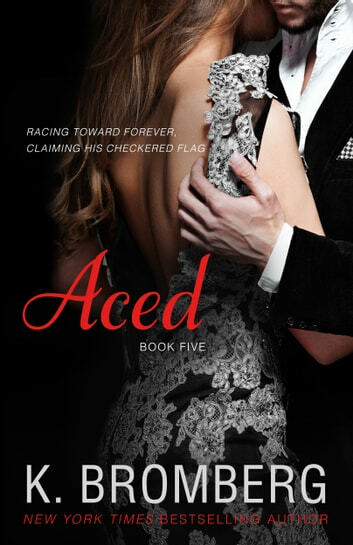 The Driven series is one of my all time favourites, and Aced is the perfect end to it. It was a complete emotional rollercoaster, but I enjoyed every second of the ride. Reading about Colton and Rylee's journey through parenthood was more than I could have dreamt up. This book was total perfection. I'm going to miss Colton and Rylee so much. Fingers crossed Kristy will revisit them one day. Thank you Kristy for bringing us Colton, I race you always!! I love Kristy Bromberg's books. I love Colton & Rules and the whole gang...I just can't get enough. Aced was very emotional, frustrating....and so real. Kristy hits on important topics, marriage struggles, going as a couple and all the issue and bumps in the road... And some serious hard issues new mothers can face. As always I laughed, cried, cried some more, wanted to beat Eddy myself and cried and laughed some more. She brought us back to the couple we love. Perfectly imperfect.